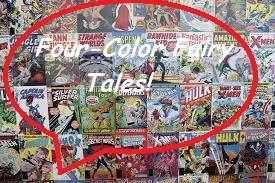 Fairy Tale Fandom: Four-Color Fairy Tales: Snow White. Four-Color Fairy Tales: Snow White. Okay, so it’s been a little while since I posted any fairy tale related material. I can assure you though, this one is worth the wait. Snow White by Matt Phelan is a graphic novel that was released last year. I’ve had this book on my shelf for a while, not knowing when I’d get around to reading it. But boy am I glad I did. The graphic novel, as you can probably tell by the title, retells the story of “Snow White”. However, there is one major switch in setting. Instead of being set in a non-distinct pre-Industrial European location, this version of “Snow White” takes place in New York City during the late 1920s and into the 1930s. The change in setting works surprisingly well. There are times when such a change can seem like a gimmick, but Phelan pulls it off. Naturally, there are changes to who the characters and objects are in-story. Snow White here is a young heiress. Her stepmother, the Evil Queen, is now a former star of the Ziegfeld Follies. The seven dwarfs are a gang of street urchins living rough on the streets. The Huntsman is a down-and-out stagehand. The prince is a police detective. And the glass coffin is the display window of Macy’s on 42nd Street. Probably my favorite change is what they did with the magic mirror. There are still plenty of mirrors in the story. The “Queen of the Follies” has a whole room full of mirrors to admire herself in. But the magic mirror itself has been replaced instead with a stock ticker. I know this may seem like a strange change, considering the Evil Queen’s usual association with vanity. However, think about what a stock ticker is supposed to do. It tells a person how well stocks that someone has invested in are doing. In other words, it tells people their worth. In a way, isn’t that also what the mirror in the original story was doing for the Evil Queen. At least, it probably did from her own perspective. Overall, the whole story is set in a time and place where value is placed on different things. The elements of youth and beauty are there, but in Depression era New York City the one thing that could make all the difference in the world is money. And the money that Snow has inherited from her father is a major factor in the Queen’s motivations. Phelan tells the story with probably as few words as necessary, but that doesn’t matter because his visual storytelling skill is amazing. There are times when gestures, actions and expressions tell you everything you need to know. One particular scene comes to mind. Mr. Hunt (the Huntsman in this story) is sitting at a bar when he flashes back to when he was working at the theater. A stage manager calls for a step ladder so that the Queen can step up onto a platform. So, what does Mr. Hunt do? He gets down on all fours and lets the Queen step on his back to get up. That action and his expressions during that scene tell you everything you need to know about Mr. Hunt. He’s someone so taken with the Queen that he lets her step on him. And it makes the scene where he lets Snow White go all the more impressive and powerful. As for the art itself? Well holy Perrault, this is a beautiful book! The art is black and white but Phelan makes such good use of it. Who knew shades of gray could create so many different tones, moods and environments. 1930s New York practically jumps off the page through Phelan’s art. There are some points I could nitpick. For example, the book does draw noticeably on the Disney version in some places. Notably, the part where the dwarfs chase the Queen and she ends up getting fried by a bolt of lightning. Only in this case it’s seven street urchins who chase her and she gets electrocuted by the electric sign on top of the Ziegfeld theater. But I can take that little bit of Disney homage because it was done creatively. Interestingly, with the movie released in 1938, it would have actually come out only a few years after this version of the story ends. Really, if you somehow missed this, give it a try. As far as comics go, it’s one of the best fairy tale retellings I’ve read in a long time. Have you read Sophie Masson's Hunter's Moon? It's the story of Snow White set somewhere in 19th century Europe. The heroine is an heiress, yes, to a chain of department stores. Her father is known as the King of Style because the stores are famous for their fashion. Her stepmother is very, very good at running fashion shows. Oh, and the mirror is The Mirror, a newspaper which declares an annual Fairest; this year the Fairest is Bianca, not her stepmother. But it's not vanity, it's money that the stepmother is after. There's even a glass coffin(not actually a coffin). The same author wrote a Cinderella novel set in the same world, inspired by Aschenputtel rather than Cendrillon. Fairy Tale Media Fix: Disney's Descendants 2.